Disease vectors, parasites, poisonous and venomous animals with medically significant bites or stings. 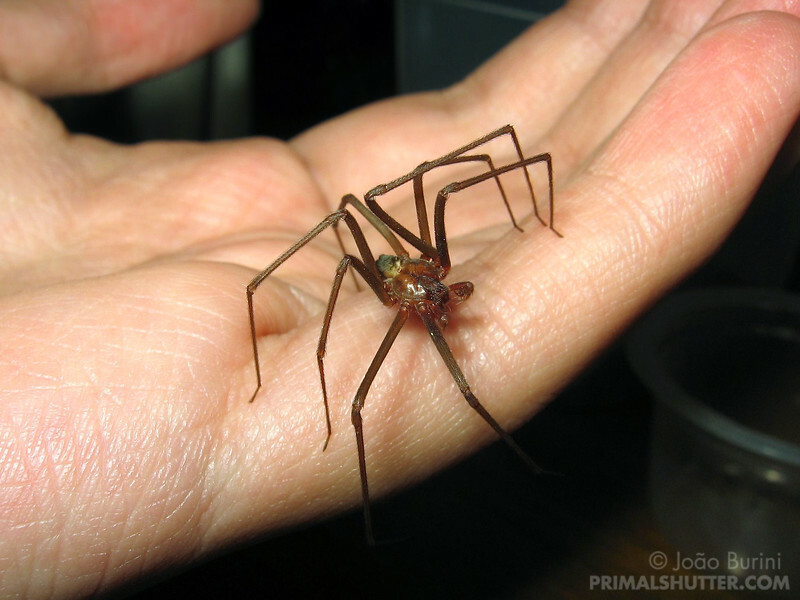 Male brown recluse spider being handled. Manuseio de macho de aranha-marrom.